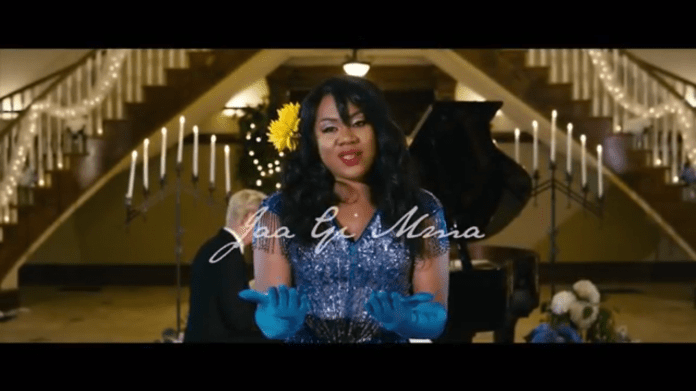 Nollywood Actress, Stella Damasus just dropped the video to her new single, Jaa Gi Mma. A very excited Stella had this to say about her video: I am so excited to present to you the second single from my forth coming album. This song is title “Jaa Gi Mma”, which simply means “Giving God Praise” and that is in Ibo language which is spoken in the eastern part of NIGERIA. I had the great pleasure of working with my amazing partner and producer Daniel “DaBishop” Ademinokan, who also did my first single, “The Man”. DaBishop also produced and directed the music video which was shot in Atlanta, Georgia.